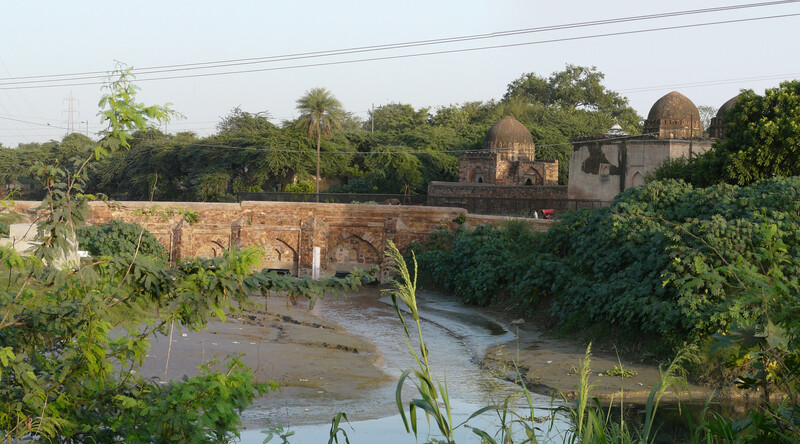 In my previous post I had mentioned the tomb-mosque complex of Shah Alam in Wazirabad in north Delhi, a saint during Firoz Shah Tughlaq’s time (late 14th c.). While the domes of this complex could always be seen rising above the treeline from the main Ring Road passing behind the structures, the new Wazirabad flyover/bridge (still under construction) has opened up views of the 14th c. bridge associated with the tomb-mosque, so I thought I’d put up a couple of photos of the bridge. Of the three arches of the bridge visible in the photos, the one on the right seems to have originally been the central and largest arch, with four successively smaller arches on either side. This old bridge is still in use today, and silting seems to have raised the level of the drain passing under it considerably, leaving only small openings below the arches. 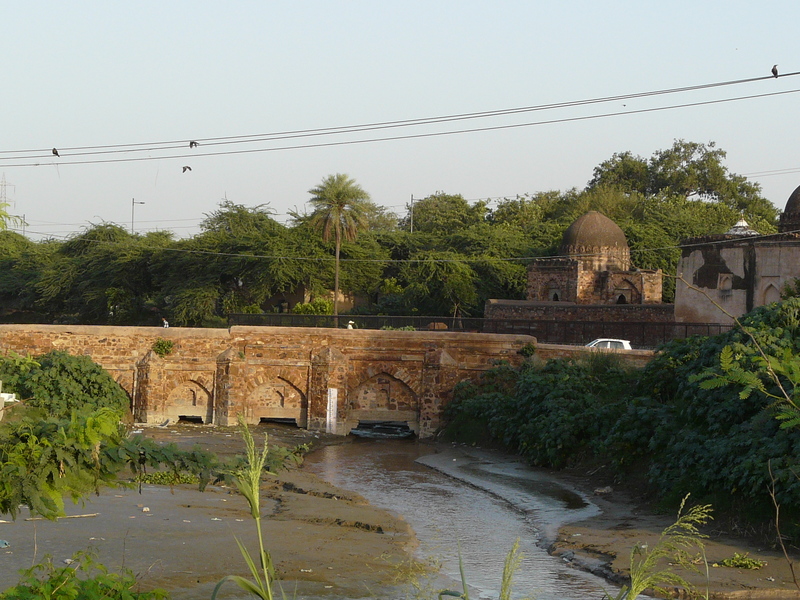 This entry was posted in Delhi, Dilli Darshan and tagged delhi, delhi history, delhi mosques, mosques, north delhi, tombs. Bookmark the permalink.